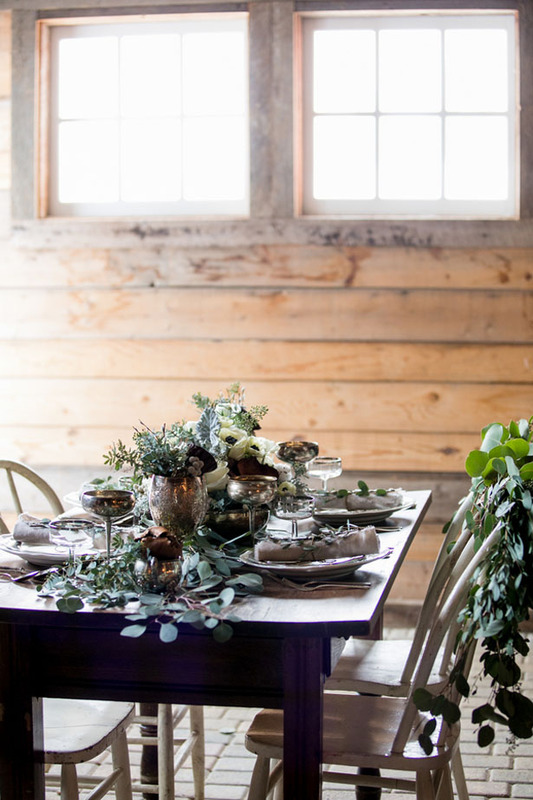 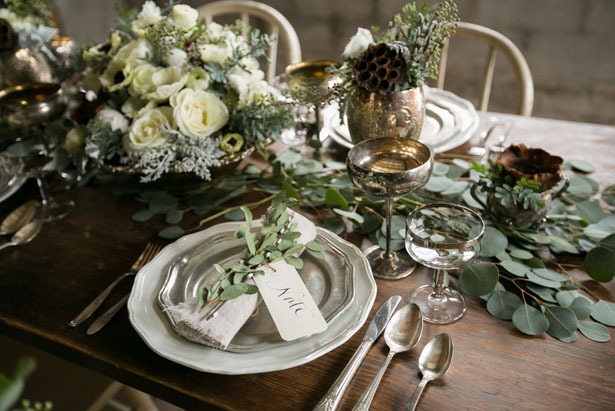 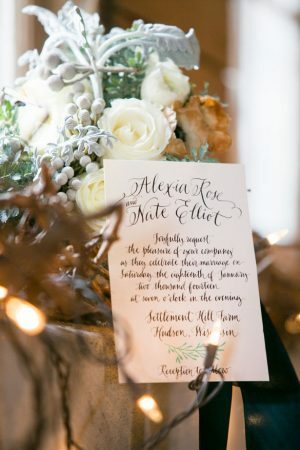 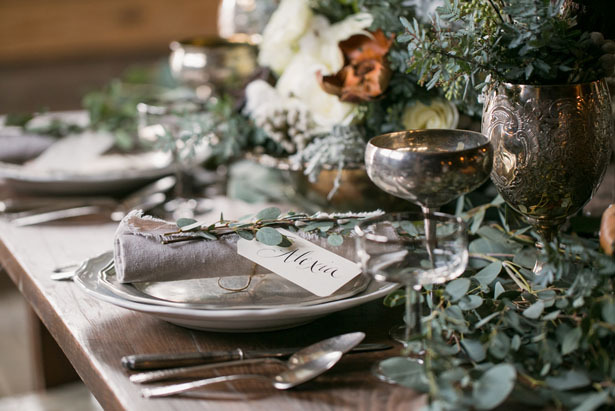 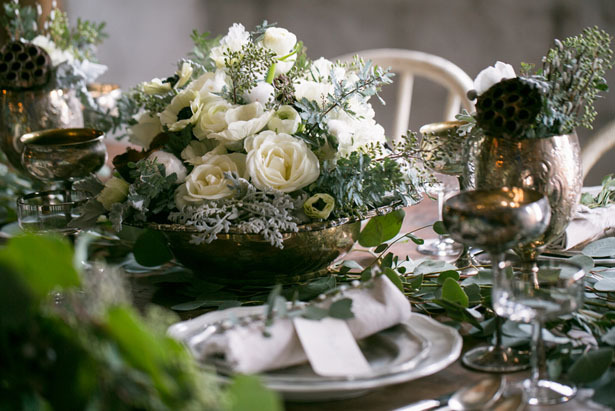 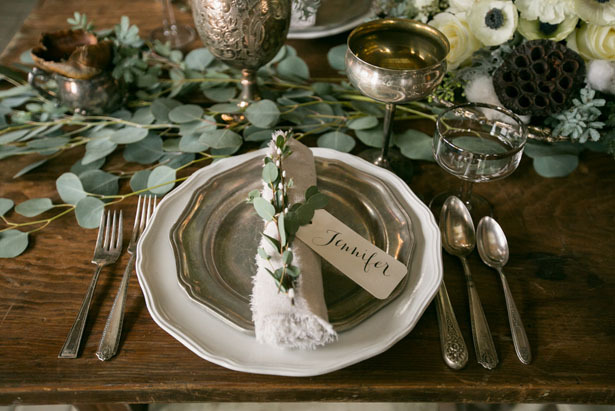 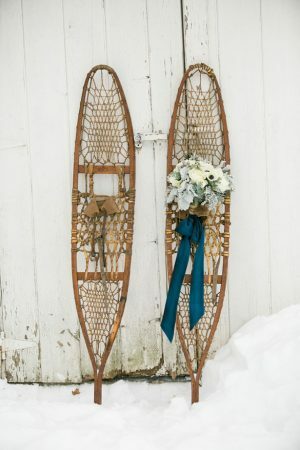 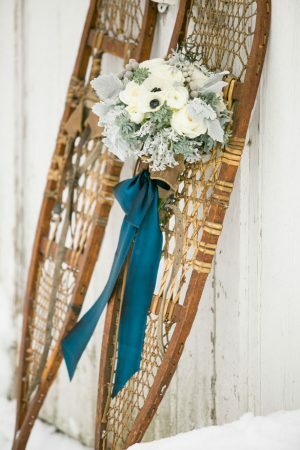 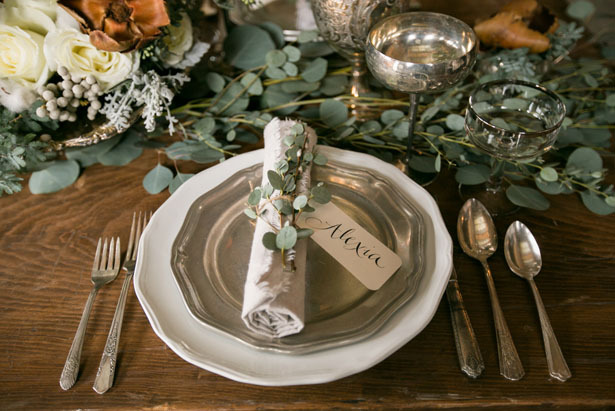 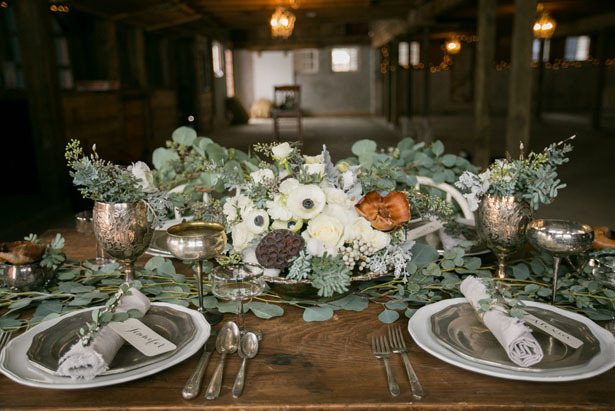 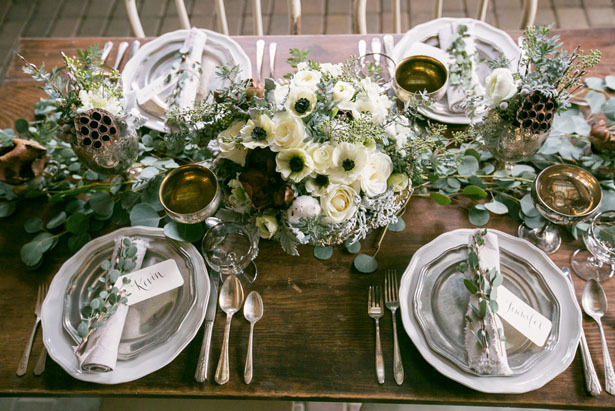 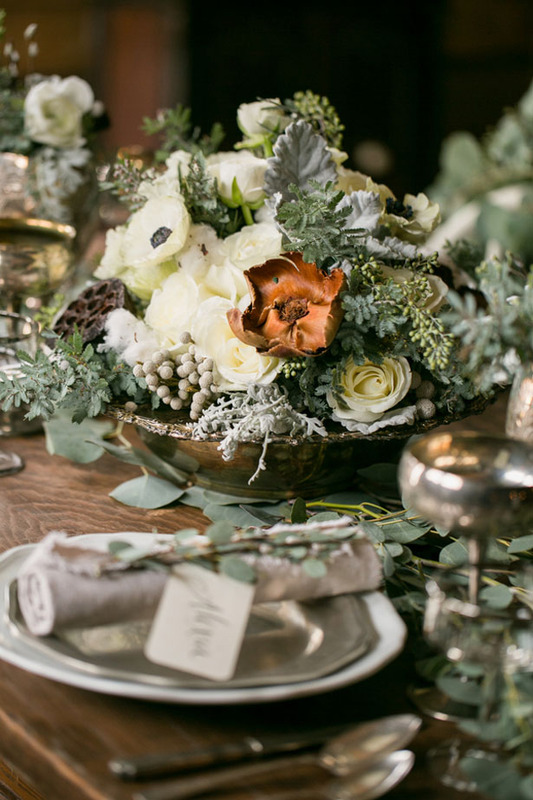 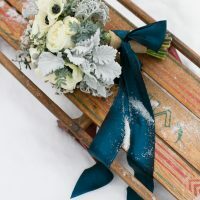 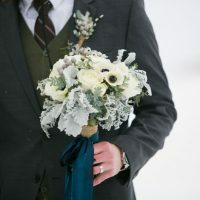 We fell head over heels in love with this beautiful rustic winter wedding styled shoot at the Settlement Hill Farm courtesy of Erin Johnson Photography. 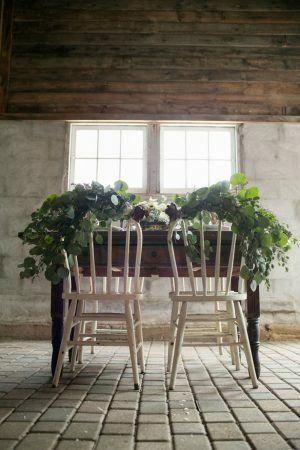 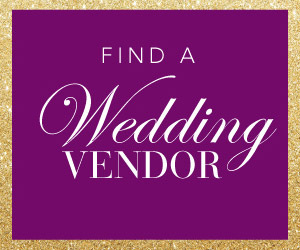 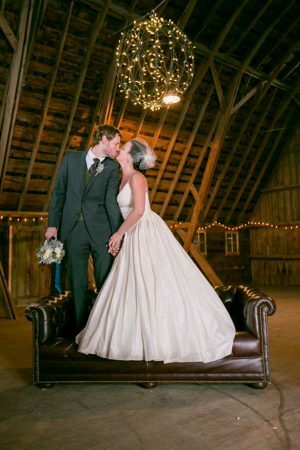 This barn affair shows us one of the most important rules in the wedding world: less is more. 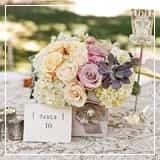 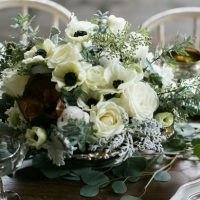 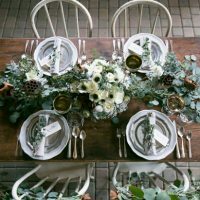 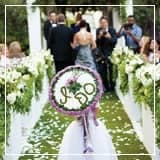 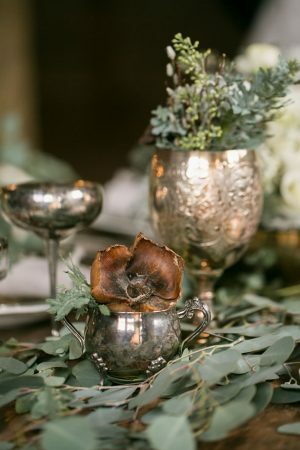 If you choose your venue wisely you don’t need to overdress it for your wedding to be gorgeous, all you need are statement accents and a bit of imagination. 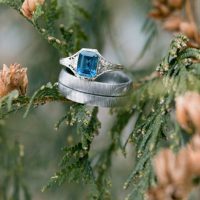 Incorporating “something blue” into your color scheme can be tricky, but if you use it in small doses you’re in for a treat. 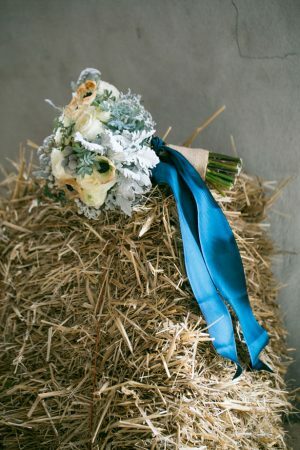 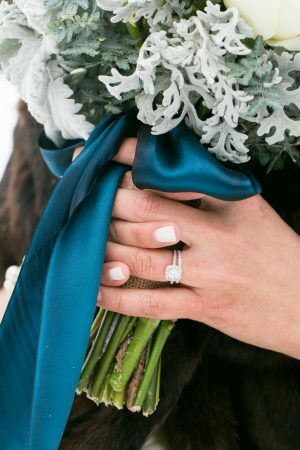 Whimsy Designs opted to use blue for the bouquet’s ribbon—the result was stunning. 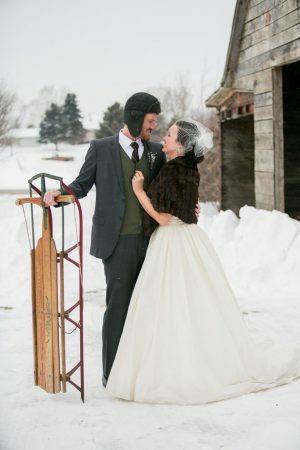 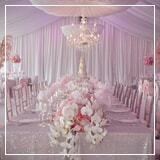 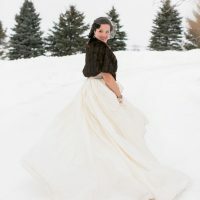 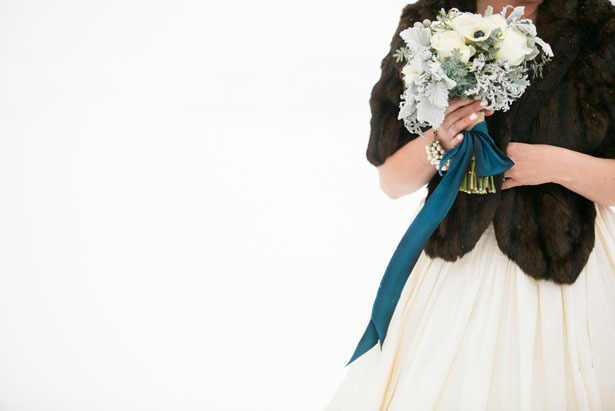 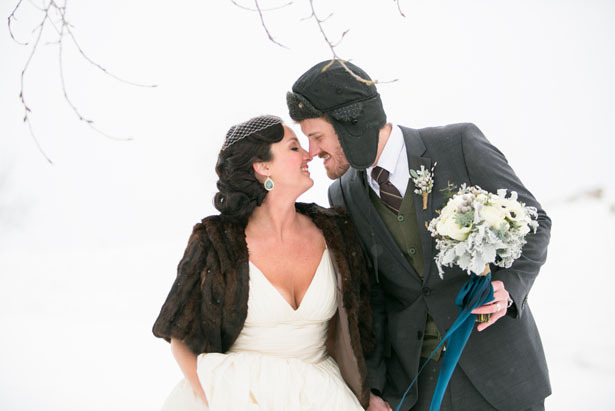 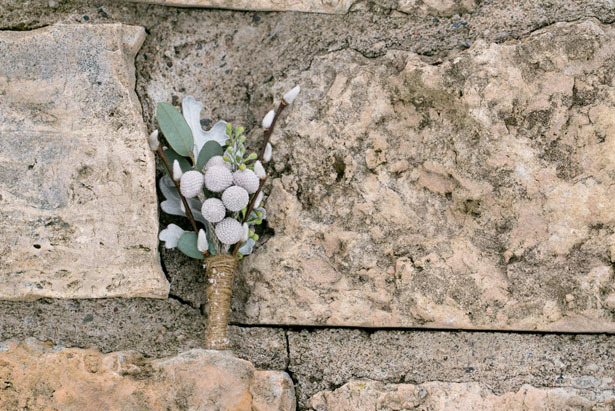 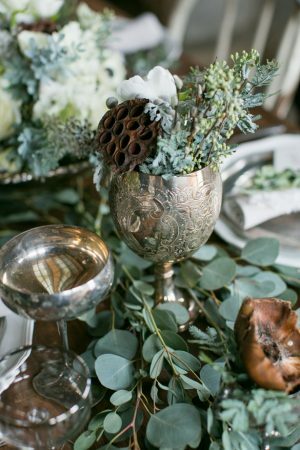 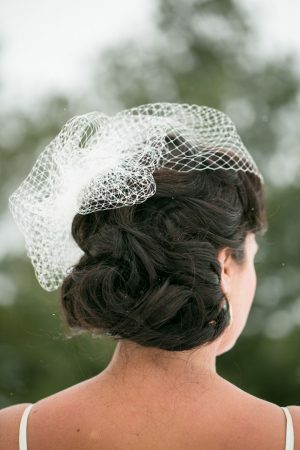 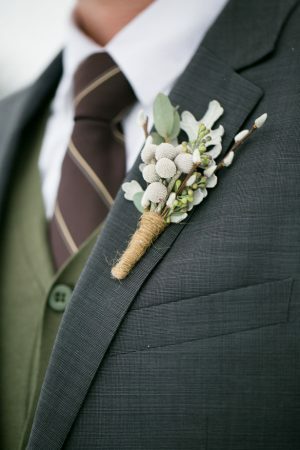 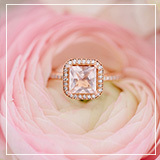 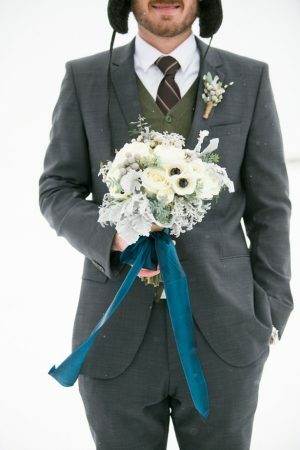 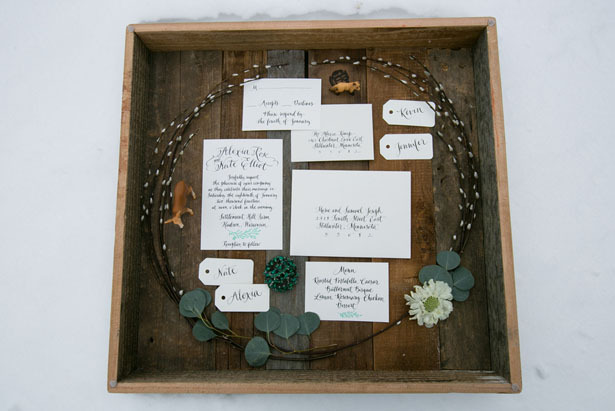 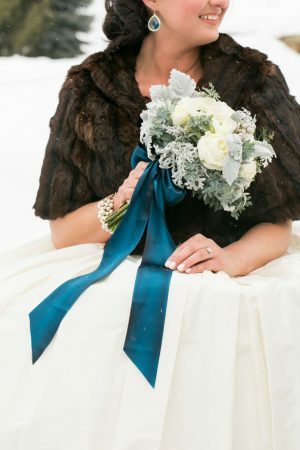 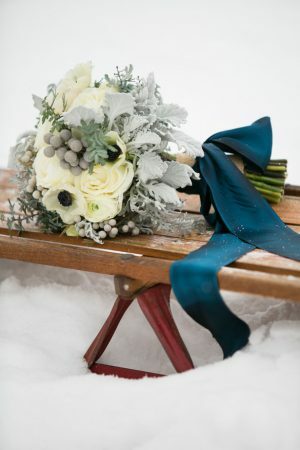 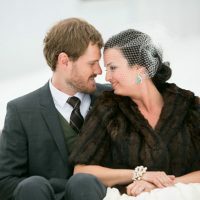 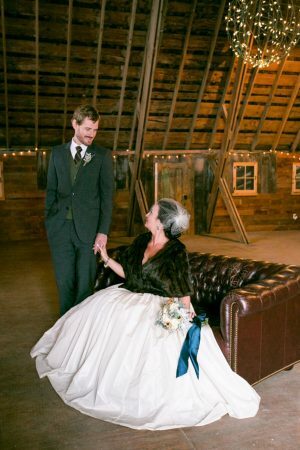 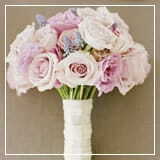 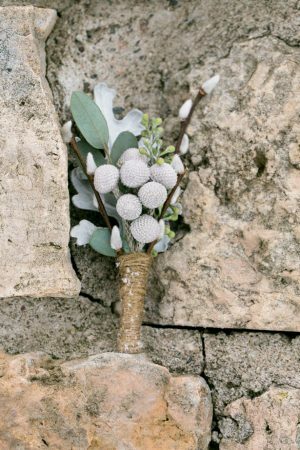 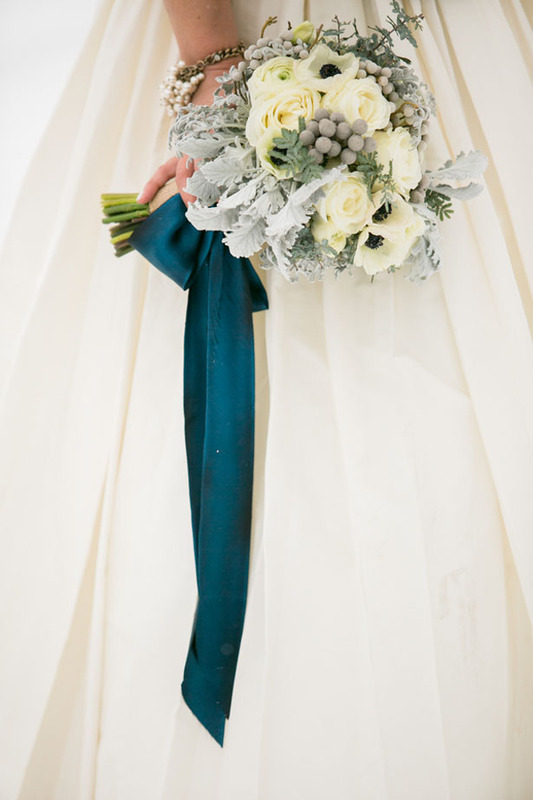 This small pop of color accentuated the bride’s winter look in a big way… Just remember, simple goes a long way! 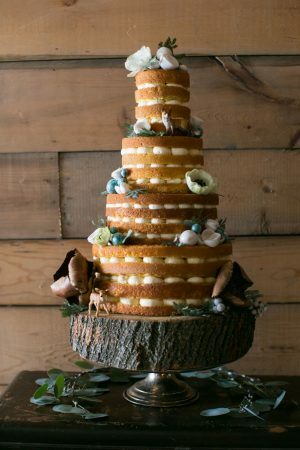 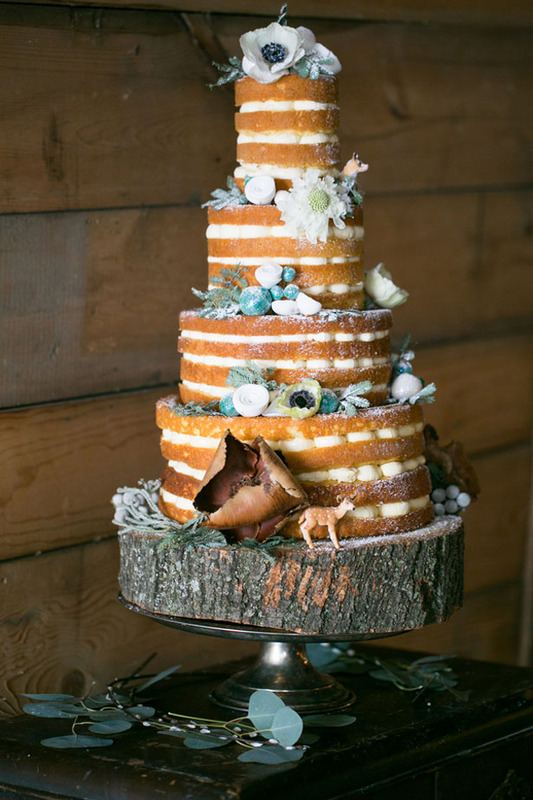 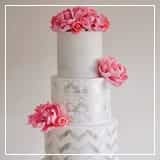 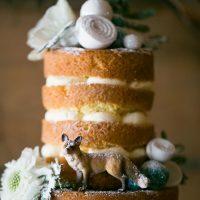 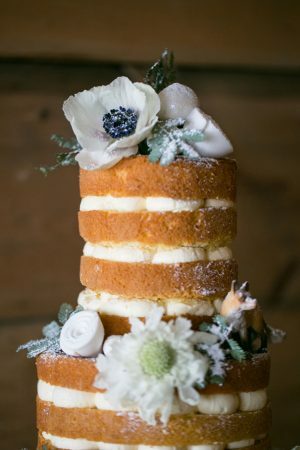 Speaking of simple + stunning, let’s talk cake! 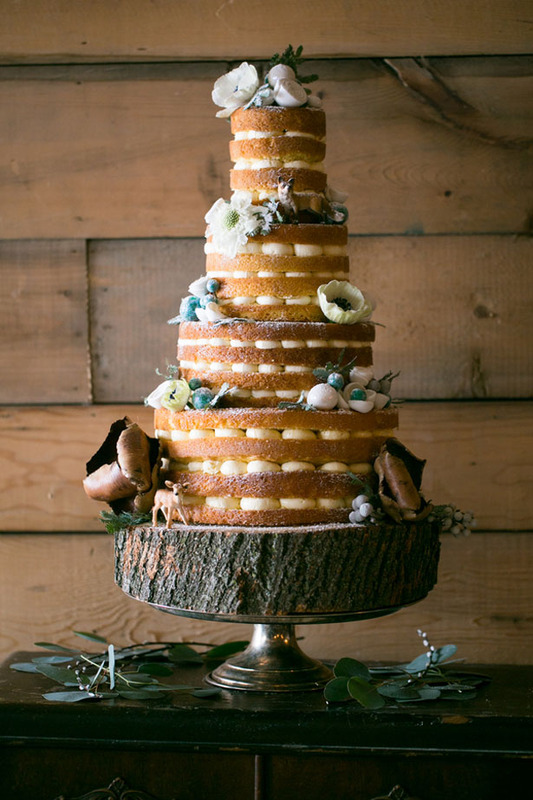 This natural sweet confection is what organic wedding dreams are made of. 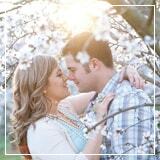 SEE MORE IN THE FULL GALLERY.